You can always count on Bill Gates to come up with a stunning idea. The Microsoft founder wanted to direct traffic to his site GatesLetter.com so dressed in bizarre costumes, donning a chicken suit, an afro, strange glasses, vampire teeth, a fake beard, viking hats and wigs and recited his website name in a repetitive but catchy manner. Using his appearance on the Late Night with Jimmy Fallon as a platform to roll out the video, Gates has already racked up over 4 lakh viewers. Steve Sansweet has broken a Guinness record for amassing over 3 lakh unique Star Wars merchandise. 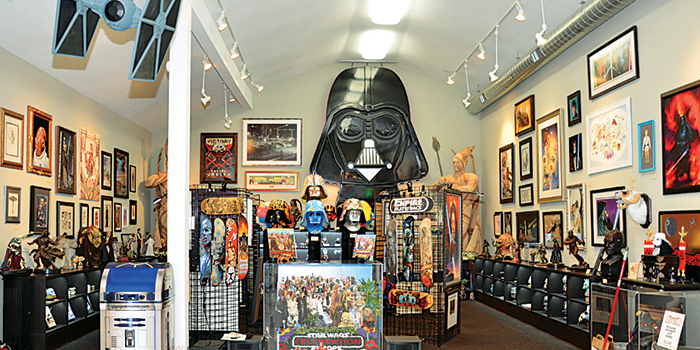 Although only about 90,000 of them are officially audited with others being out of catalogue, fellow geeks will be amazed and jealous even, of his collection of that includes games, masks, light sabres, statues, wallets, and pencils backs, all stacked up in Rancho Obi-Wan in California. The video (guinnessworldrecords.in) documents Sansweeta��s collection which started back when he was 16. In the same galaxy, Darth Vadera��s Stormtroopers take a leaf out of Miley Cyrusa��s book and get together for a street twerk session. Created by Scott Winn and Brenden Bytheway, the video shows Stormtroopers dancing to escape the stress of working under Darth Vadera��s brutal command. E11 blast guns, a nod to Beyoncea��s dance routine of Single Ladies, and an appearance from Vader himself makes this one entertaining and innovative.